The days are getting longer, the birds are chirping, the grass is growing ... it's spring. I doubt I'm alone in saying that when warm weather comes there are some foods that I begin to crave. I don't think that I've made barbecue sauce since last summer, but earlier this week I had an overwhelming desire to eat barbecue. 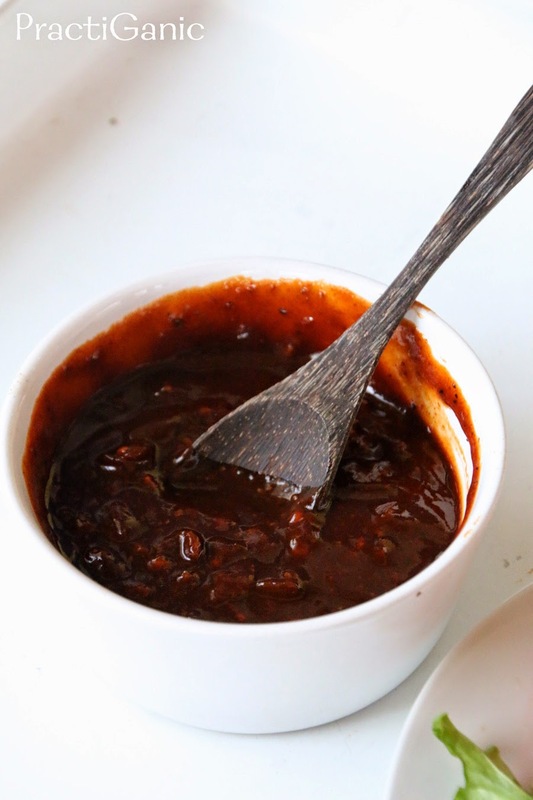 When the kids were napping, I threw together my favorite Brandy Barbecue Sauce. It takes about 5 whole minutes to put together and it simmers for around 45. So, I had 45 minutes to think about what I wanted to do with my barbecue sauce. I was so happy to see some tempeh in the fridge. I have been loving tempeh lately ... the flavor, the texture, plus, I'm trying to eat more fermented foods so it was a done deal. 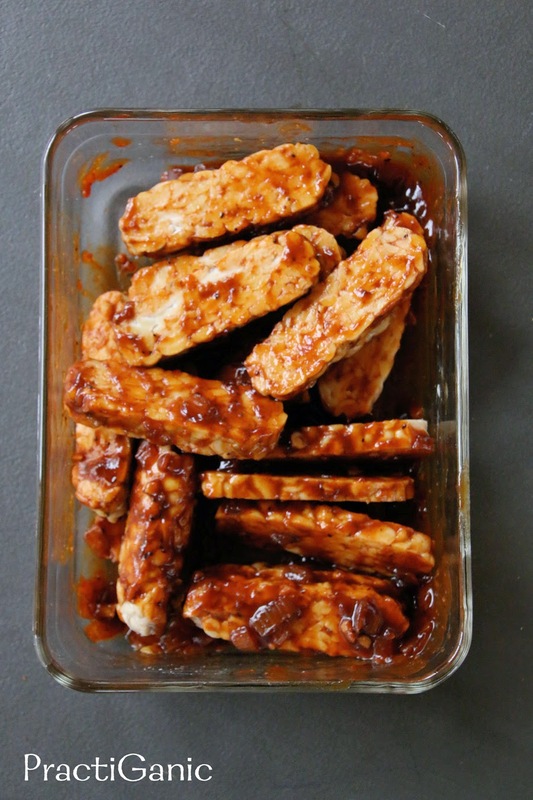 Barbecue Tempeh, it's what's for dinner!! 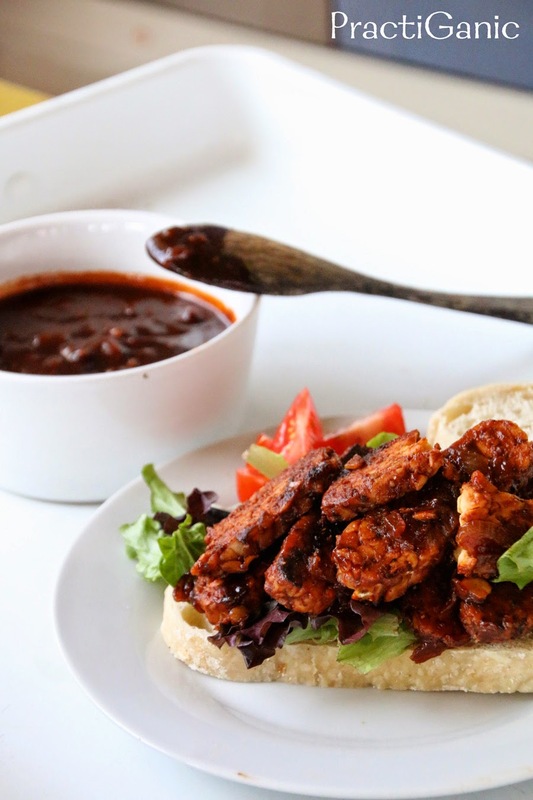 Now, Barbecue Tempeh what? I made enough for three servings so I made two sandwiches and saved the rest to do a barbecue pizza with. I was craving some good corn on the cob to go with it, but that craving is going to have to wait a little bit longer! However, my kids favorite combo lately is pumpkin seeds and corn so I sautéed them in a little oil until the corn and the seeds begin to crack and I saved a little to top the tempeh barbecue pizza with ... so yummy! Cut tempeh into 1/2 thin strips. 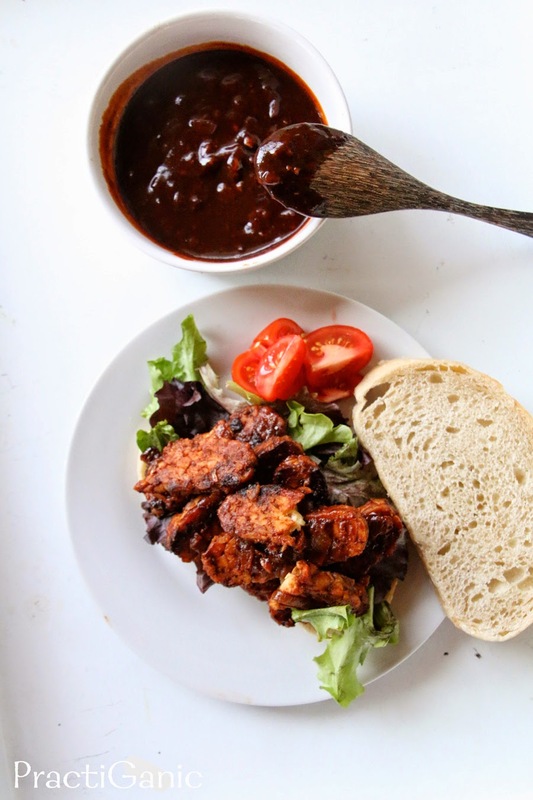 Pour 1/4 cup barbecue sauce on the bottom of a tupperware that you can close. Top with tempeh and pour another 1/4 cup over it. Shake it around so all the tempeh is nicely covered. Let this marinate for at least 1 hour. Heat a little oil in a pan. 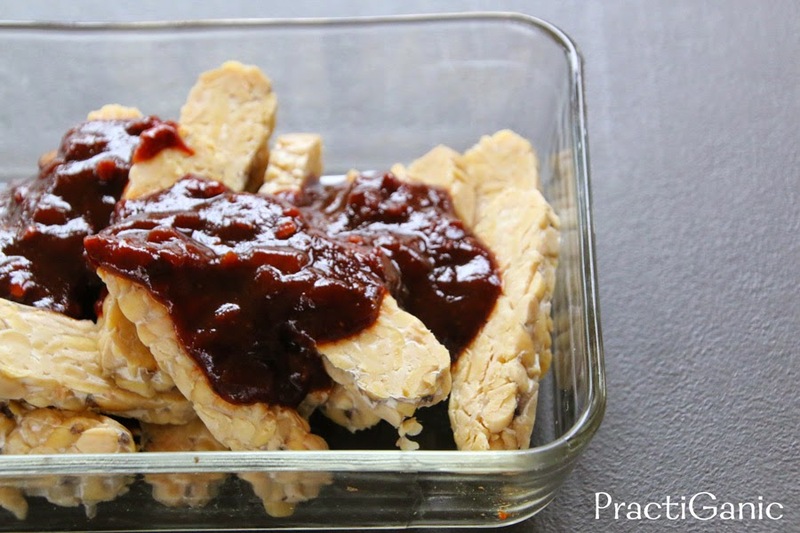 Lay tempeh flat in the pan and cook for 3-4 minutes over medium heat. Flip and cook another 3-4 minutes. Put back in your bowl and top with remaining sauce. Now, put together your favorite sandwich, pizza or just start eating them as a great appetizer!